Sir Henry Parkes hosted the opening of the Hawkesbury River railway bridge in May 1889. With the massive spans constructed on Dangar Island and floated into place, the bridge was an amazing engineering achievement for the time. 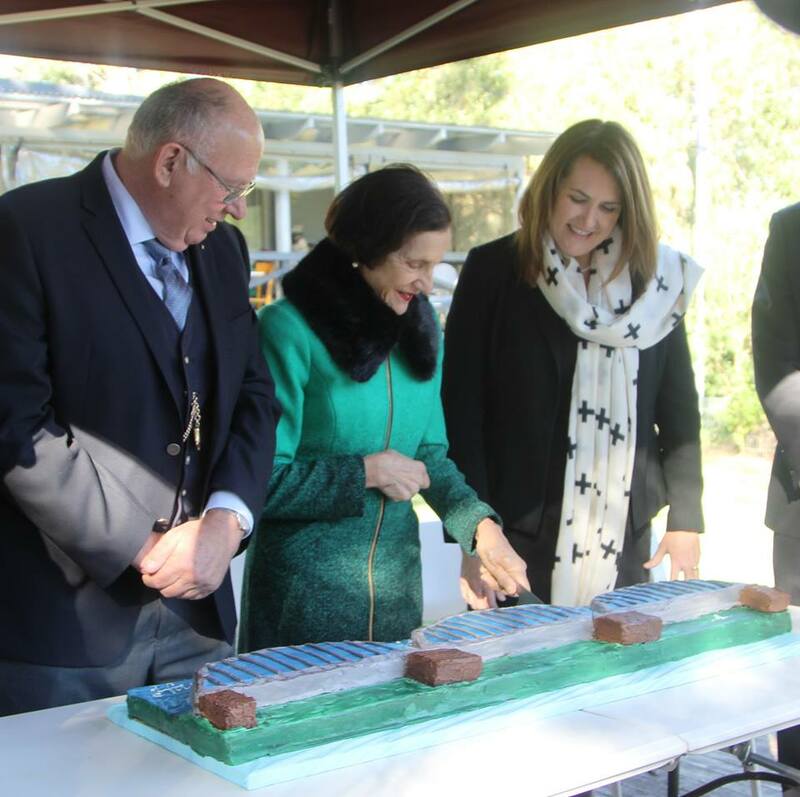 125 years later, on 4 May 2014, Her Excellency, Professor Marie Bashir, Governor of New South Wales, opened an exhibition mounted by the Dangar Island Historical Society documenting and celebrating the construction of this essential link between Sydney and regions to its north. “Henry Parkes is of course most famously known as the ‘Father of Federation’ for his push to achieve the federation of a group of parochial independent Colonies. “What you may not know is that he was also known as the ‘Father of the Electric Telegraph’. It was his motion in the Legislative Assembly that led to the establishment of the first electric telegraph in the colony of NSW. “The introduction of the telegraph made communication faster and later linked all the states into a common network but with rail travel there was still one big missing link between the North and the South before a railway network could be completed. “The gap across the Hawkesbury River posed a difficult problem that had to be solved. “It was during Henry’s third term as Premier that he established the Public Works Loan Act to secure the funding for the construction of the bridge and associated rail lines to connect Sydney to Newcastle. “This was to be a world class engineering feat of excavation, embankments, tunnelling and building world-record deep pylons into the muddy base of the river. There was also the problem of placing huge spans of steel onto those pylons. Most of that construction was carried out here at Dangar Island on a huge pontoon. It was approximately 100 metres long by 20 metres wide and 3 metres deep. Just constructing the world’s biggest pontoon was a challenge. “The ‘can do’ attitude and the skills and dedication of the Australian and American workers, achieved completion ahead of time and only just over budget. “During the construction, on 9 July 1887, Lord Brassey, who later became the Governor of Victoria, visited the construction site here. Lord Brassey was the son of a famous railway pioneer in Britain. “I have here a book of Henry’s speeches that he presented to Lord Brassey, just 2 days later. “In one of those speeches delivered in Melbourne in March 1867, he said. I think the time has arrived when these colonies should be united by some federal bond or connexion. I think it must be manifest to all thoughtful men that there are questions projecting themselves upon our attention which cannot be satisfactorily dealt with by any one of the individual Governments. P256. Download full speech by Ian Thom. Henry Parkes Foundation Chair and Parkes descendant Ian Thom wears his great great grandfather’s fob watch at the Dangar Island celebrations – a watch also likely to have been worn by Parkes when he visited the island 125 years ago to open the bridge. With distrust of politicians and disillusionment with Australia’s political systems at an all-time high, legendary independent Ted Mack believes fundamental change is required. 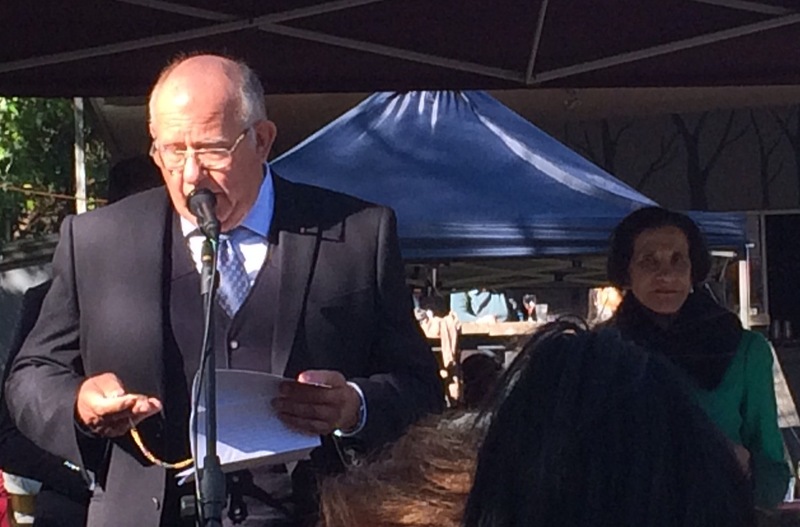 Delivering the 2013 Henry Parkes Oration in Tenterfield NSW, where Parkes gave his celebrated ‘Federation Speech’ on 24 October 1889, Mack called for “examination of the many problems of our system of government in order to establish directions for reform”. As the only person to have been elected, and then re-elected, as an independent to all three tiers of government in Australia, Ted Mack is uniquely positioned to reflect on this task. He believes the state of the federation has never been so unsatisfactory, claiming it has reached this nadir “because of the obsolescence and self-regulation inherent in the constitution”. He believes we need “new electoral systems to reflect the will of the people”. He also believes there is a need for an “integrity level of government separate from executive government and parliament”. Such a role would be spelt out in the Constitution as having no power in relation to political policy but only power to ensure integrity of government and to ensure the Constitution is upheld. Mack acknowledges that serious reform is perhaps many years into the future and “the obstacles and enemies of democratic reform are many”. Democracy is making reasonable progress, he says, but there is a long way to go.